This Lennar homeowner review comes from Parkland, Florida and was originally posted on the ConsumerAffairs website. Minor formatting and grammar changes were made. 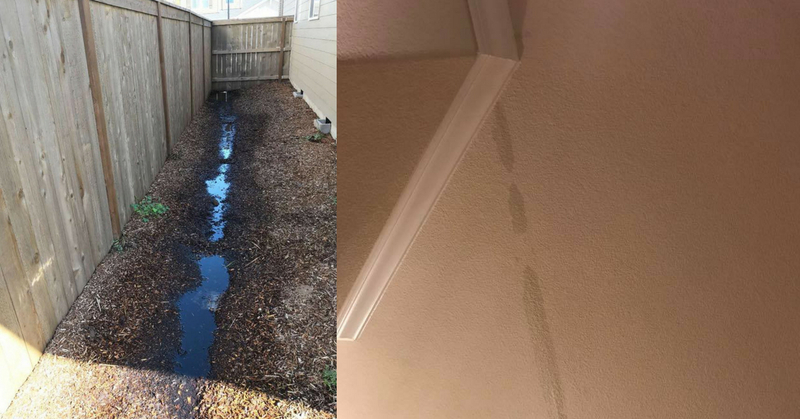 I also added links to similar construction defects I’ve experienced in my Lennar home. “I live in MiraLago in Parkland. This too was to be our retirement home and last move. Dealing with Lennar for the past two years has been nothing short of pure misery, a complete disappointment and sheer aggravation. It all started when we were bullied into closing on Black Friday in 2014. We had plans to be out of town for Thanksgiving and had to cancel because Lennar forced us to close on a house that was an absolute mess. In the last two days before the closing, they slapped things together as best as they could but our punch list was still two full pages on a legal pad. We offered to close a week or two later as we were in no rush but Lennar was hell-bent on closing on our house so that they could count it in their fiscal year. Totally ruined our Thanksgiving that year and made us forego spending time with our son who had recently been discharged from the navy. In addition to the punch list for the house, we had no street lights and no street signs. It felt like our house was in a war zone. The next week I learned that neither Comcast nor AT&T could provide internet or phone service to my house because cables were never run down the street. Lennar’s negligence to ensure communications infrastructure was in place created a safety issue. RELATED: Homeowner in Florida: "Do Not Purchase a Home From Lennar!" We then endured week after week of contractors coming in and out of our house fixing things. A broken water main had to be repaired and then was improperly flushed which ended up causing a 3 ft square hole to be made in our dining room wall. Another day someone was digging in our yard without marking lines and cut our communications line. While all this was going on, a swamp was developing our side yards, complete with breeding insects. Two years later they are now addressing the drainage issue, which was a known issue from the start, and in the process, they damaged my pool heater and are fighting with me to replace it. Aside from the issues with my house, Lennar has been late to deliver our clubhouse, the main entrance (which has electrical issues) and rear entrance. Numerous issues remain throughout the community. This company completely lacks morals, quality control, and integrity. I strongly advise never doing business with Lennar. This purchase decision is my single most regret in my entire life.